Are you searching for best places to visit in Pondicherry? This beautiful town was under French rule until the year 1954 and still you can see the impact of French culture on the town. 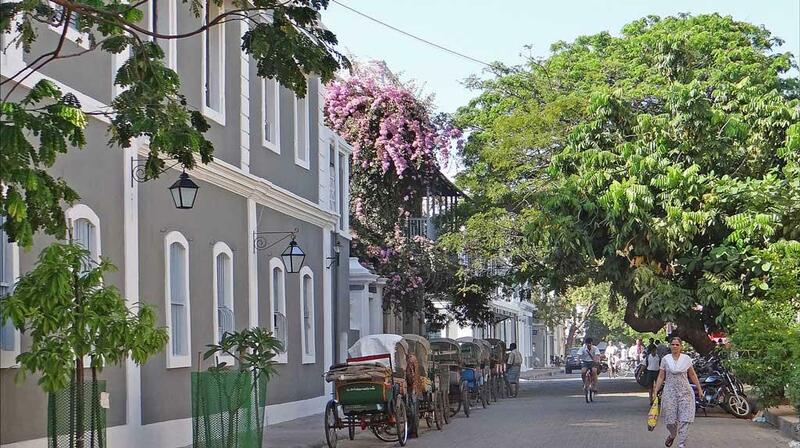 The beautiful majestic buildings, churches, effigies and the perfectly built town gives you the idea about French Colony, this is the reason why Pondicherry is known as the Europe of India. Here you can experience the wonderful blend of Indian and French culture. Various tourist destinations in the town are the major attraction of the tourists from all over the world. Here is the list of best places to visit in Pondicherry. This is one of the best places to visit in Pondicherry. Sir Aurobindo Ashram is a religious society established by Sir Aurobindo Ghosh in the year 1926. The tourists, as well as the devotees throughout the world, come to this ashram while in Pondicherry. The teachings of Sir Aurobindo and Mira Alfassa are preached in this ashram. The ashram is well maintained with all the facilities like several offices, library, well-equipped printing press, playground, a beautiful art gallery, a nursing home, dairy, farm, guest houses, and bakery. In the main building, you can visit the samadhis of Sir Aurobindo and Mira Alfassa. You can visit the ashram in the morning from 8 am to 12 noon and in the afternoon from 2 pm to 6 pm in the evening. This place is located at the distance of 8 km from Pondicherry city and one of the best places to visit in Pondicherry. 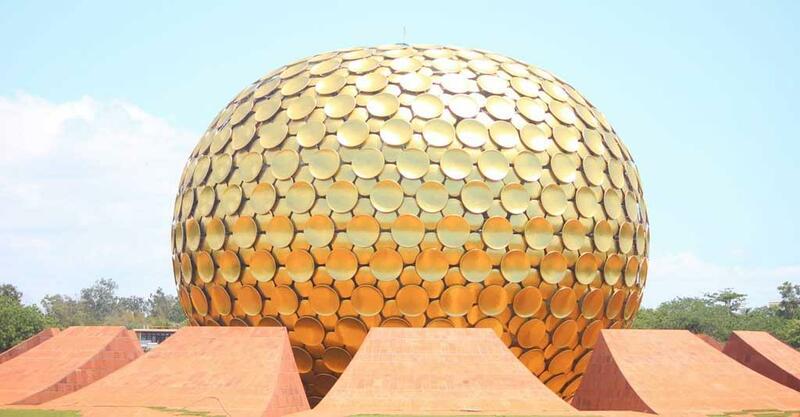 The meaning of the term Auroville means, the city of Dawn. This little town was founded by Sri Aurobindo and Mira Alfassa in the year 1968. The town was architecture by the famous French Architect Roger Anger. This wonderful town is the place where people from all over the world can live together in peace. There are no boundaries of caste, religion or nationality. In the centre of the town, there is a beautiful temple of the universal mother and the temple is named as Matrimandir. At present nearly 2007 people from 44 different countries stay in the Auroville town. Promenade beach is one of the famous Pondicherry tourist attractions and one of the main beaches in Pondicherry. While taking a walk along the beach side you can see many landmarks and effigies like the statue of Joan of Arc, the Heritage Town Hall, Dupleix Statue and the statue of Mahatma Gandhi. People also like to see the old lighthouse. This is the perfect place for those who want to spend their evening in the peaceful and pleasant atmosphere. This place offers a relaxation to your mind. You can also get information about the Pondicherry in the tourist office situated at the beach side. Another best places to visit in Pondicherry is Immaculate conception Cathedral. This 300 years old church was built in the year 1791. This is the Cathedral for the Archdiocese of Pondicherry and Cuddalore. Before the establishment of Immaculate Conception Cathedral, three churches were built on the same place. The construction of this church started in 1791 and many developments were made to the building till 1987. This is one of the oldest churches in Pondicherry. Mother Teresa visited this holy church. This church is famous as Samba Kovil in the local people. This place is situated at the distance of 10 km from Pondicherry town and is one of the best places to visit in Pondicherry. This wetland and park have occupied the area of 3.9sqkm. In Ouster Wetland and national park you can see the variety of water and land animals. The houseboat service available at the place is the main attraction of this destination. You can enjoy the view of rare species of trees and the migratory birds on them. This is the best place for the nature photographers as they can click rare birds and aquatic animals at this national park. The Botanical Garden in Pondicherry was founded in 1826 and is a wonderful example of French impact of French Colony in Pondicherry. The main attraction of the garden is the structure of the gate which is simply amazing and this is the best places to visit in Pondicherry. Earlier it was a French Style garden with pruned trees and beautiful fountains. You can see the variety or out of the ordinary plants and shrubs of different countries at this one place. In 1931 a French Botanist and Horticulturist George S. Perrottet turned this French style garden into Botanical garden. One of the major attractions of this garden is the musical fountain which attracts numbers of tourists during the weekend's evenings. Another best places to visit in Pondicherry isFrench war Memorial, which was built in 1971 to honor and pay tribute to the French Soldiers who lost their lives during First World War. Every year on 14th July, the entire memorial is elucidated to pay respect to the soldiers. Tourists love to visit the French war memorial on the Bastille Day, 14th July to witness the homage ceremony and take the unforgettable experience. This is one of the famous Pondicherry tourist attractions. The Temple is situated on M.G. Road and it is the oldest Hindu Temple in Pondicherry. The beautiful temple is built in Dravidian Style architecture and the sculptures of Hindu Gods and Goddesses are seen here. The temple is devoted to the incarnation of Lord Vishnu, Sri Varadaraja Perumal. According to the local belief, few local fishermen found the statues of Lord Rama, Lakshmana, Sita and Lord Hanuman in the sea; the fishermen established the statues in this temple. You can also visit the temple of Lord Narasimha behind this temple. The Hindu devotees visit the temple as a holy place of pilgrimage. This museum is situated in the Bharathi Park at the centre of the town. You can see a variety of sculptures and archeological things in the museum and one of the best places to visit in Pondicherry. The rare effigies of bronze found here are of the Chola and Pallava empires. You can also find complete information about the history of the town as well as the French colony in the museum. Other interesting things like snail shells, old lamps, and many handcrafted items can be seen here. Over all Pondicherry is the famous tourist destination for many people. 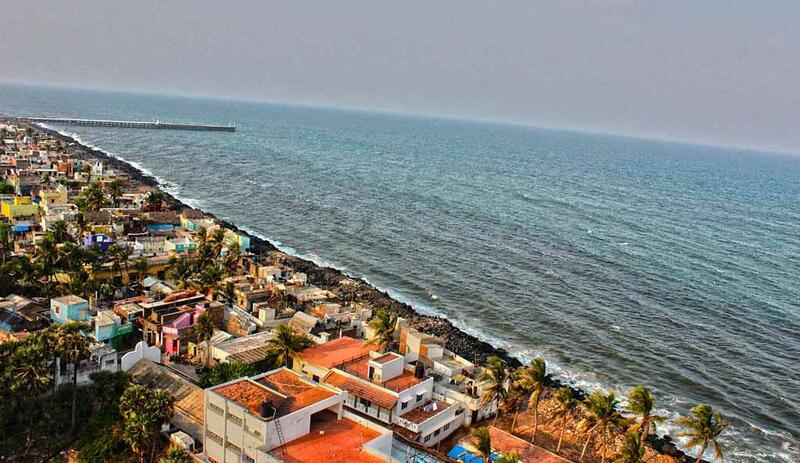 To enjoy the French architecture, pleasant weather, beautiful beach and peaceful atmosphere, Pondicherry is the best option for a family tour. Auroville is one of the best places to visit in Pondicherry. I made a visit to Matrimandir, and it was an awesome experience. Actually, Matrimandir is not a tourist site; but a place for individual silent concentration.